Following on from the success of Doctor Who – Series 4 – The Specials (UK Top 50 Chart album entry and UK Chart No. 1 Soundtrack Album) comes a further 63 track, 2CD set of stunning Murray Gold music. 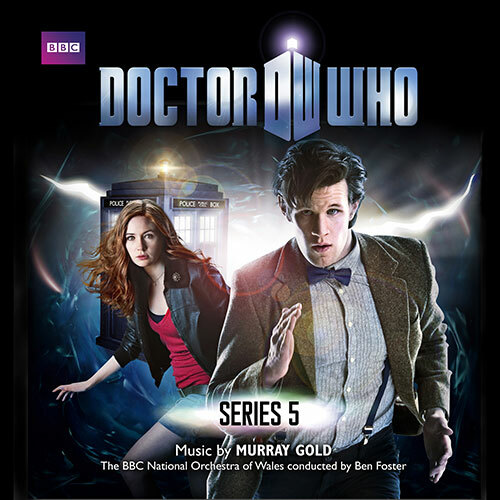 Series 4 – The Specials is the highest charting release off all Murray Gold, Doctor Who soundtracks. As Matt Smith regenerated into the eleventh Doctor Who this spring, Murray Gold has completed music for over 50 episodes in a prolific five years . This release features music from all 13 episodes of series 5 and includes the new arrangement of the classic Doctor Who theme plus new themes for the Doctor and his assistant Amy Pond. 5. Can I Come With You?